How do I join Second Life? How do I use Voice in Second Life? 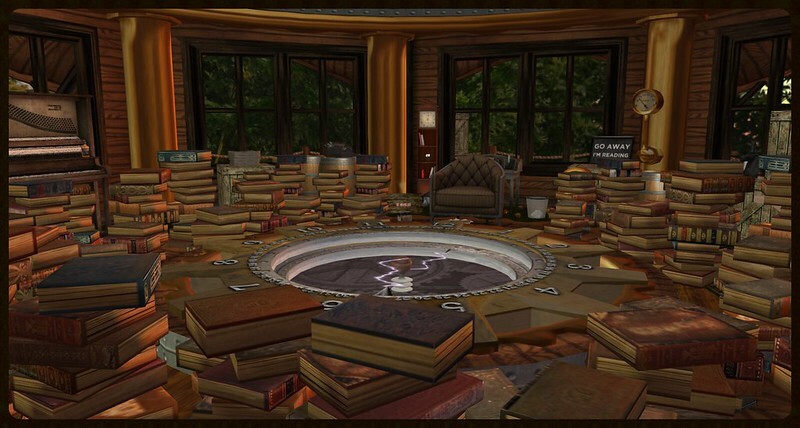 I read 100 word stories in the Clocktree Park Reading Room at 4PM SLT on Wednesdays in Second Life as R. Crap Mariner. When I’m not reading stories there, an automated book chats random stories. It uses HTTP calls to a randomizer template in this WordPress blog. You can join my group “100 Word Stories” to get the announcements for the when and where. If you don’t like something, and it bothers you enough to say something, leave. I have a good job, and I don’t need to exploit my art to live beyond my means. Tip other artists or performers. I do not list my readings in the Second Life event listings. I would rather deal with experienced and mature Second Life users. I do not like to waste time at my events teaching newbies how to use Voice or other viewer functions. Clocktree Park and 100 Word Stories are not listed in the Destination Guide because of some bad experiences. However, you are welcome to visit and enjoy the stories in the Reading Room. The real answer is: My original domain was isfullofcrap.com, and my social media usernames tend to be isfullofcrap. Long story, really boring. If you can’t deal with the name, I don’t want to deal with you.